Pinterest isn’t just for lifestyle bloggers and home chefs. Implementing a Pinterest marketing strategy for your business may increase sales and brand awareness. Fifty percent of people made a purchase after seeing a Promoted pin and 67% say they’ve discovered a new brand or product from content on the network. 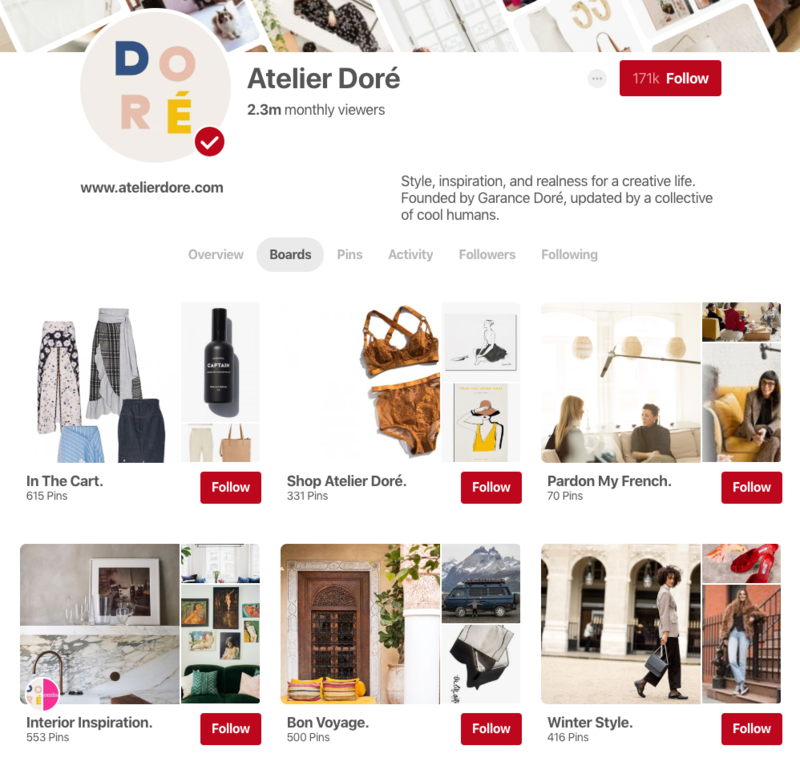 If your ideal audience is on Pinterest and you’re looking to explore new channels for your brand, Pinterest might be your answer. 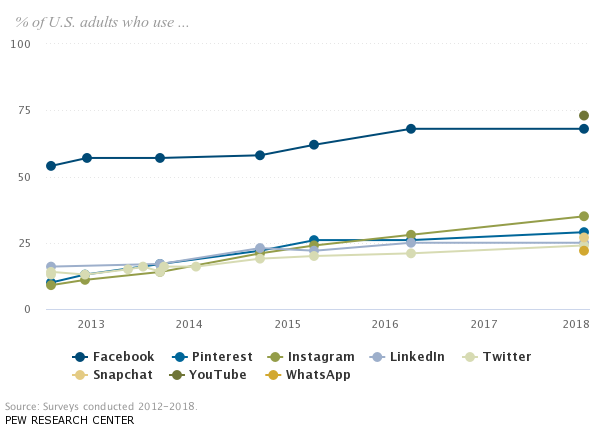 It might not be as popular as Facebook, but it’s certainly holding its own against other networks. First things first, you want your Pinterest account to look on-brand. And that means you have to start by turning it into a Business Account. It’s free and easy to create or convert from a personal account. Go through the steps of filling out the profile and connecting your other social accounts. Next, make sure your bio contains relevant keywords for your brand. It should still read like your brand’s voice but with some useful SEO keywords so Pinterest and users know what your business is all about. Arzo of Arzo Travels perfectly describes her interests and includes some top search phrases like “solo female traveler” and “travel inspiration.” Additionally, her cover photo is linked to her top blog post board, ensuring the featured pins are all on brand. One way to customize your profile is to add board covers. You’ll need to upload these as photos yourself but the custom covers bring a more cohesive look to your brand. Experiment around with using branded colors, icons and fonts. Who What Wear UK opted for lifestyle photos that matched the board’s topic, the same filter and the same font for the overlay. While every board’s title is clear, the covers make them stand out even more. Another aspect to look into for customizing your profile is how you name your boards. You can opt for the most SEO-friendly, on-brand terms or a mix of the two. Keep the titles relatively short and use the board’s description area to add more keywords. In fact, Atelier Doré keeps their titles set at two to three words in length and ends each with a period. It’s consistent across the profile and gives Pinners a sense of minimalistic conciseness. For a different approach, One Kings Lane opted for a standard naming convention with a little SEO thrown in the mix. The boards all start with a certain topic in capitalized letters, followed by a line and then a more descriptive name. How will Pinners find your boards? Hopefully, your business has already done some SEO research on the best search phrases. But if you’re feeling a little lost, start typing some basic words into the search bar. Relevant, related topics will appear that can help you narrow your search down. Take a tip from the Apartment Therapy board “Small Spaces.” The title gives you a great look at what the board is about while the bio has relevant search phrases in it. If you look closely, the Pin titles all have the phrase inserted too. Always make it very easy for your website visitors to Pin from your pages. You have several options here. Use Pinterest’s own Save Button or customize your own share button. Depending on what your business sells or publishes, you should enable Rich Pins if possible. Product Pins give pricing info while Article Pins would be perfect for a blog. This Real Simple Pin is a Recipe Pin. When you open the Pin up, you have an idea of how long it’ll take to make and the ingredients needed before you even click through to the instructions. On the mobile app, Rich Pins stand out with star reviews, recipe times and product tag icons. 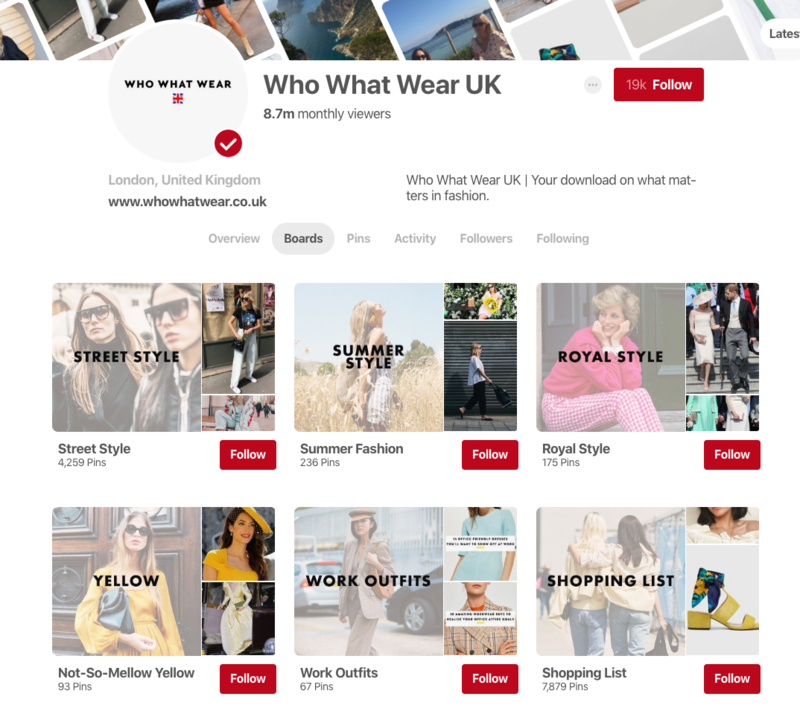 Take your Product Pins a step further by syncing your web store to your Pinterest account. 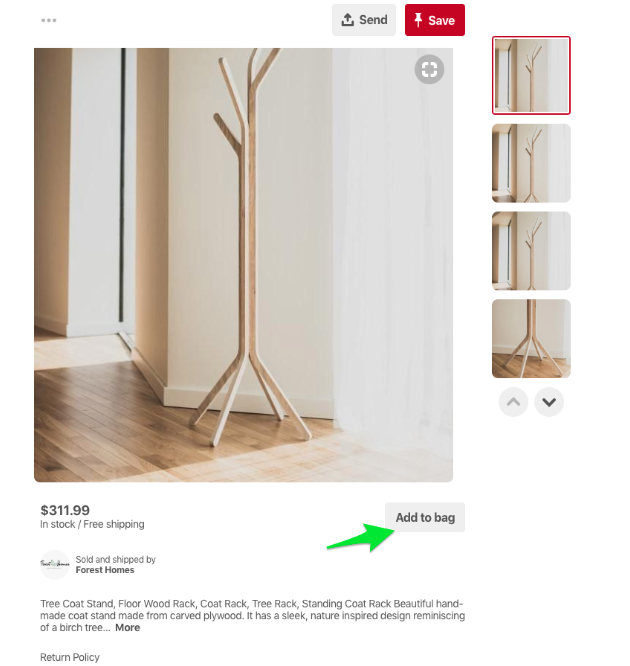 From the Pin itself, a Pinner can click “Add to bag” and then head to a checkout without ever leaving Pinterest. This coat rack Pin from Forest Homes shows what a Buyable Pin looks like. On the Pinner’s end, they can save several products from multiple websites into the same Bag. The best performing product Pins on Pinterest have lifestyle photography in them. As an image-first site, there is value in having quality photos. When you’re creating your product pages, make sure you include some lifestyle photos. If possible, also add in some images that are optimal in their size. If you keep any sort of company blog, add at least one Pinterest-optimized image that clearly shows what the blog post is about. Green Global Travel makes sure that each blog post contains some eye-catching imagery. And in case you didn’t click through the Pin, the image is still branded with their website. But don’t stop at image dimensions. Your image descriptions are just as important as they’re the parts that auto-fill into your Pin. Some website providers offer Pinterest-specific plugins that will help you add descriptions for your Pins. After optimizing your profile and website, the last step is like every other platform out there: be active. Schedule some time to both source your content and check on what’s being actively Pinned from your website. 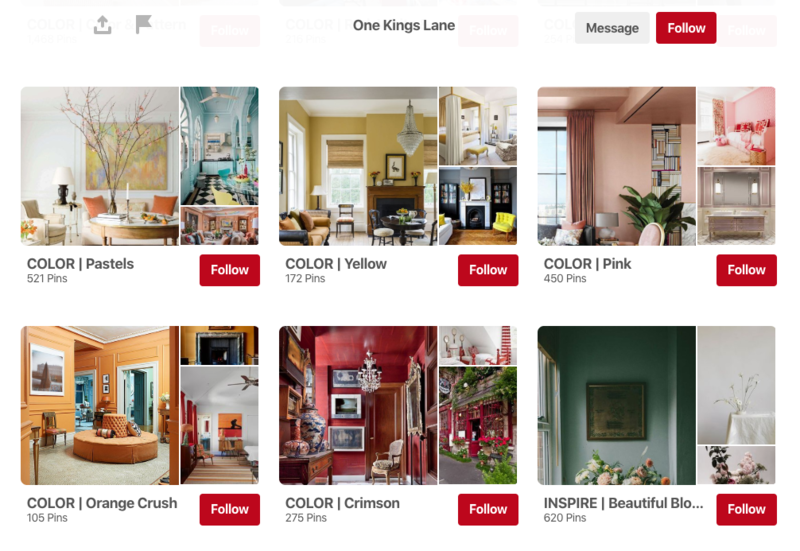 When you’re Pinning, you can add some descriptions into your Pin and any relevant hashtags. These hashtags are clickable like in other social platforms and work as another search reference. PureWow has an Article Pin with a great description of the piece. When PureWow saved it to their board, they also added in some useful hashtags. It’s critical for brands today to constantly track hashtags and maintain publishing on social. 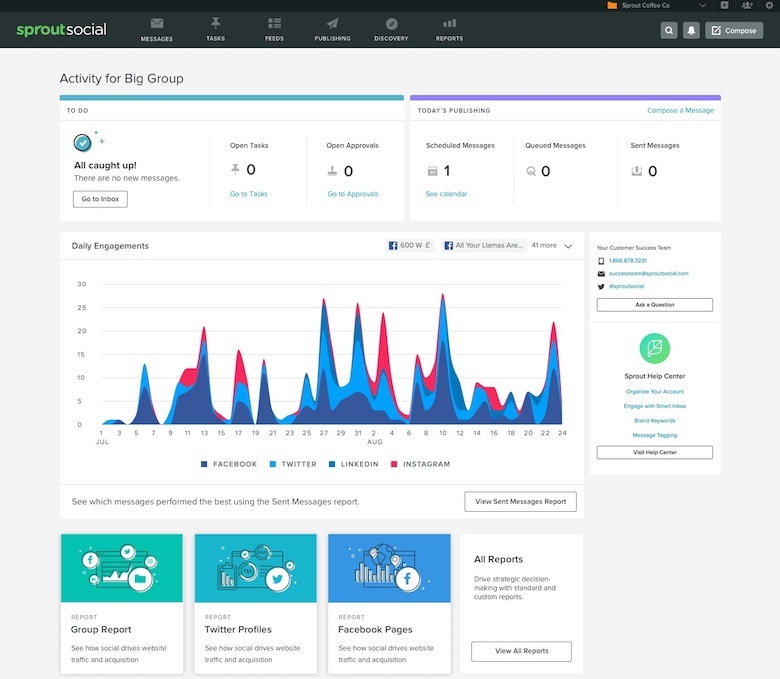 Whether you’re a team of three or 30, Sprout Social gives brands an easy way to connect their profiles, schedule content and review analysis at a large scale. See us in action with a free 30-day trial! Lastly, analyze all of your hard work. Pinterest’s own native analytics give you insights on your most popular pins. Their guide walks you through all of the analytics available to you. If you recently optimized your website for Pinterest, check out which pages are most popular after a month. Pinterest also provides information on which Pins performed best in search and which were uniquely Pinned from your website. Once you’ve gotten your rhythm down, start expanding your strategy and incorporating other ideas like contests. Boards like Serena and Lily’s Color Theory play around with visual effects. As you scroll down the board, you notice that like-colored Pins are grouped together. 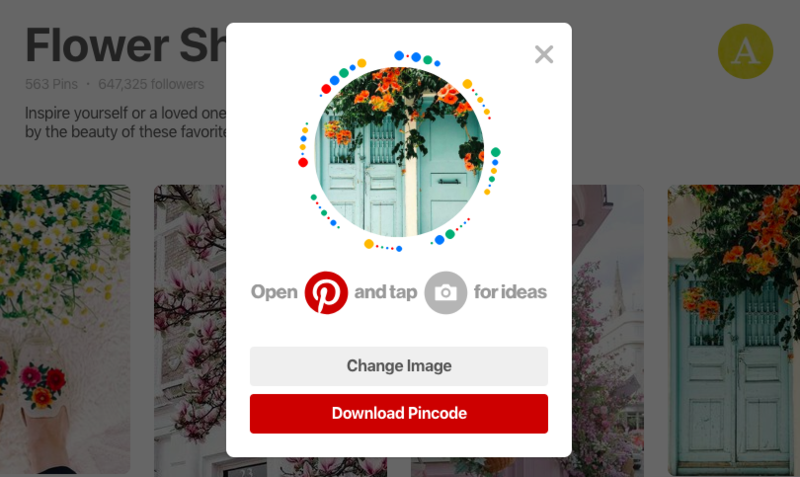 Take your Pinterest board into the wild with Pincodes. These are codes that you can generate from any board that you have with a customized image. Use these Pincodes in your store, on other social media networks or even on your printed marketing material. Try incorporating videos into your Pinning strategy. If one is doing especially well, promote it with Pinterest’s paid advertising program. The Pins have a small “Promoted by” designation but they otherwise appear as a regular Pin in your feed. If you target your Pins well, the advertising might work out for you. The best kind of Pins for advertising are in line with the network’s content. This means that they’re highly visual and useful for your audience. A hard sell of a product won’t perform well here. Instead, Pins like how-to articles, DIY gifts and inspirational home decor are more engaging. It’s content marketing at its core. Using Pinterest for your business marketing strategy is playing a long game. You create a combination of helpful content, SEO and consistent posting to appeal to the shoppers and doers in your audience. A Pinner might not be immediately buying your cake for their wedding. But they will be saving inspirational Pins on a board for months before making a decision. We’d love to know how you’ve used Pinterest for your business. Share your ideas with us on Twitter!